Every year sees new companies arrive and others decide not to attend for reasons unknown, or as I do know, many are just plain too busy. However, to many vendors you just cannot not attend. Several key themes seem to be emerging for 2017, with considerable focus on Virtual Reality and Augmented Reality with both Kallidus and Leo giving great prominence to this exciting development. If you are interested in this, make sure you visit eLearning Studios (Stand R15) who have some of the best VR I have tried to date. You may want to check out Immerse Learning for VR as well. Analytics appears to be a growing theme and with the newly well-financed Yet Analytics debuting along with Mike Rustici and team and their Watershed LRS team exhibiting, these will be must visit stands if you are looking at xAPI and learning analytics more widely. If you are looking for LRS don’t forget Learning Locker on the HT2 stand (along with a few other interesting products such as Curatr. I am pleased to see Brightspace from D2L at LTs 17 as well, with a platform I have tracked for many years looking at adaptive learning technologies. Filtered is another must-visit stand (D16) as Marc and the team continue to impress and surprise as to where they take their adaptive technology next. I love their Excel courses (see our review) and they have now moved on to apply their algorithms to sourcing a wide range of courses from MOOCs to e-books. I can’t wait to see it. For those of you keen to see authoring tools there are a couple of stands you must visit, go and see gomo and look out for Mike Alcock demoing just how easy it is to build courses using this tool….Mike is peerless when it comes to this art. Appitiere with their Evolve Authoring tool is another elearning content authoring tool vendor worth visiting (they have a few other products to look at). Of course there are the market leaders in Articulate and Adobe, but take a look at eNetAuthor for a really well thought through feature-rich authoring tool. Do of course check out Lectora from Trivantis – always a good solid and robust content development tool and I am keen to see the latest iteration. Xyleme remain my content creation and content distribution gurus, do check them out and chat with Mark Hellenger – a clued up guy. Content authoring and content customising / editing tools are going to be hot in our view, with L&D teams increasingly wishing to modify course materials, but not build everything from new. Happily there are some super solutions to this, do call and see Emil (the e-learning industry’s enfant terrible!) and the ever innovative e-Learning WMB team is one such company that are on the money in this respect. The other that really impresses is Adapt Builder from Learning Pool. Both companies have considerable libraries of content that can be customised by L&D teams. Content libraries and off the shelf content continues to be in demand as many smaller companies now using e-learning and often having an LMS are not really well placed to commission large amounts of bespoke e-learning, but are wisely seeking to avoid the LMS being an “empty bucket” are looking to utilise off the shelf content. Learning Heroes are a lively bunch making some waves in the market at present and are worth a visit. Safety Media continue to produce excellent video based learning courses in Health & Safety. Indeed video is now almost mainstream, as is mobile learning enabled content and platforms. Gamification was the theme of 2015 and 2016 and that to is moving much more mainstream as is social learning as many LMS vendors have moved to incorporate such features. The LMS is still massively popular and I would wager that a large proportion of visitors would be looking for an LMS, and we are with John Leh as he argues the LMS won’t go away – it will evolve and get better. Kineo are making a big splash with a SaaS version of Totara and we expect to see innovation in the Totara eco-system accelerate quite rapidly as the decision to break with (fork) Moodle takes effect. Learning Pool seem capable of deploying Totara solutions in numbers and are really driving the market forward with the platform and the Adapt Builder tool. Kallidus launch Kallidus Learn with a new UI and UX, (looking forward to a viewing) and without doubt this is where the market will hot up. Virtual College remain the pace setters with the new (well 12 months old) Enable LMS that appears to be evolving at a rapid pace and is now the UK standard setter in our view for UI and UX in LMS, so I look forward to seeing them on Stand E10. They are having a lot of deserved success with this platform (and an award or two). LearnUpon, the mega successful SaaS LMS, has a new UI and looks very good indeed. LearnUpon has also completed an integration with SalesForce which is very effective indeed. From founders Brendan and Des having no real office to a real global success story! Docebo is another highly impressive platform that has integrated with SalesForce (and more) very effectively and really is the go to LMS for extended enterprise solutions. These guys are the API experts and really are a true cross continent vendor. Webanywhere are a very capable LMS vendor specialising in Moodle and Totara with a blue chip client base built on superb customisation of Moodle and Totara to provide some exceptional interfaces for learners and great value for money for companies. 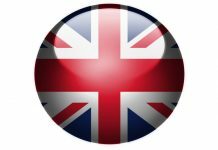 Litmos now have a team firmly located in the UK and this is an LMS that we have tracked for some years. It manages to bridge simplicity of use with smooth sophistication that allows for course creation and delivery. Stepping slightly outside the mainstream I will be visiting KOKM to look how their platform is evolving…..always interesting and innovative. I will also call by Stand K4 and see Debbie and Lisa and the team at WillowDNA – one of several exciting elearning companies in Bristol and the South West. The Pathway Cloud LMS suite from WillowDNA is superbly well thought through, with its focus on learning pathways (the clue is in the name) and for training providers, and especially the apprenticeship market – it looks very good indeed. They will be showcasing their new Pathway360 Learning Platform that integrates the LMS with content curation, enhanced social learning and course creation capabilities. I am keen to see IM-C Learning who offer an exciting suite of learning and performance support environments. Finally, bespoke content development services are still very much in demand and there is lots of choice. Leo still proves to be one of the best developers in the UK, with the successful merger of LINE and Epic producing a 1+1=3 equation. Kineo are capable of producing some excellent stylish e-learning we reviewed using Adapt. 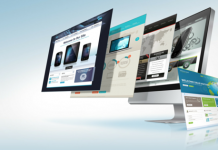 Kallidus who for many eschewed the content development market have proved to be excellent content developers indeed. Virtual College are another LMS vendor that offer the full solution very effectively and we see a strong trend towards one stop partners, platform and content delivered together seems to be attractive to many buyers as it just makes life easier. There are other specialist developers such as Optimised Learning who produce some excellent bespoke e-learning content, as well as some very useful off the shelf courses. 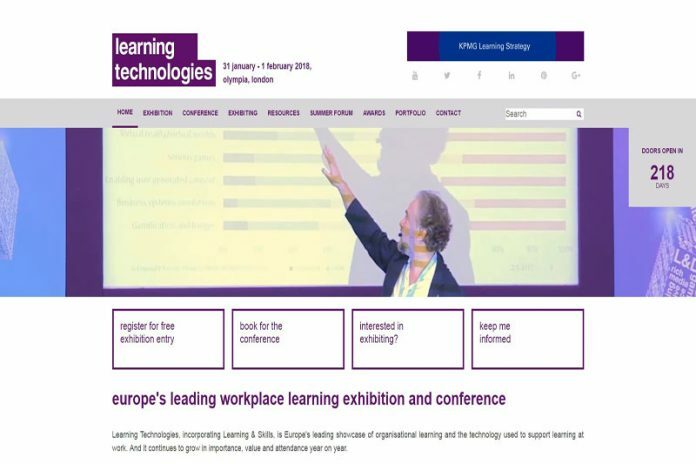 I’m really looking forward to the Learning Technologies 2017 conference, as I know already that there are some game-changing solutions to check out. If you’re exhibiting at or exploring the event and would like to meet up for a chat, do get in touch. Preview of Learning Technologies 2016.